Explore the amazing variety of Colors! Butterflies are one of the most colorful creatures of Costa Rica. With 1500 different species of Butterfly and 12 000 different species of moths, the numbers are staggering. Costa Rica has 90% of all Central American species and 18 percent of the total earth’s population. From in the Central Valley of San Jose to the top of each mountain and Volcano, you can spot these fragile creatures. One of our favorites is the Blue Morpho Butterfly! Butterflies tend to be more colorful and have a larger variety of patterns. Whereas months tend to be a little duller with more yellows and brown tone used in their color schemes. Another difference is apparent in the way they land. Butterflies land with their wings closed and while moths land with their wings open. The most notable difference is that butterflies come out during the day and moths are nocturnal. Interesting fact: Did you know that the fur of a sloth contains its own ecosystem and that a specific moth called the Sloth Moth is part of that? These moths exclusively evolve in the sloth’s fur and they even use the sloth’s dung as a substrate for the early stages of reproduction. The Blue Morpho Butterfly, or Morpho Peleides, is the most recognizable butterfly in the whole of Costa Rica. 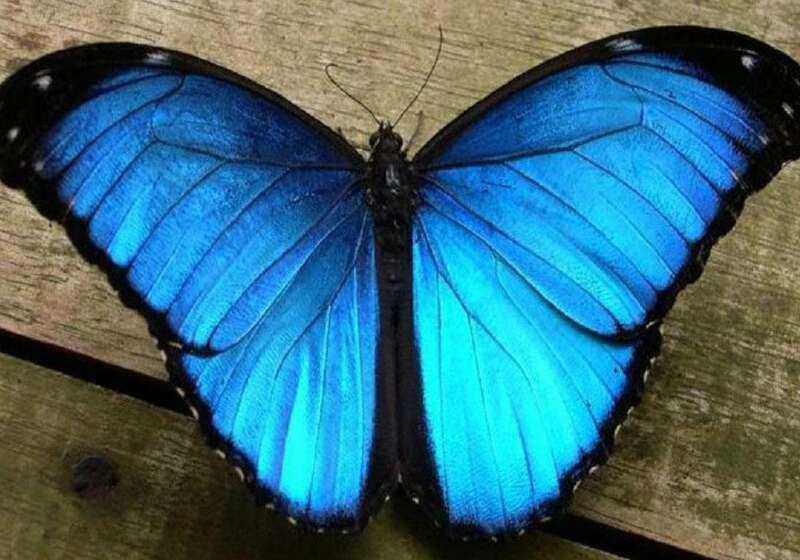 The bright blue color is its most hypnotic feature and yet, these butterflies aren’t actually blue. The color appears the way it is because of the deep, reflective scales on the wings. These scales are very similar to diamonds and are strategically placed so that the light reflects through them and a brilliant blue color gets created. When you see the Blue Morpho Butterfly, you might notice a brown butterfly flying alongside them. This is the female version of the Morpho and like most other species, the females are less flashy. The Blue Morpho needs its colorful wings to attract a suitable mate. The Blue Morpho Butterfly thoroughly enjoys the sunlight. Their eyes are highly sensitive to UV making their sight better when the sun is out. If you want to see these natural wonders, it is best to visit the rainforest near the sunny spots. The Blue Morpho Butterfly isn’t the biggest but certainly one of the biggest. It ranges from 90mm to 150mm wingspan. 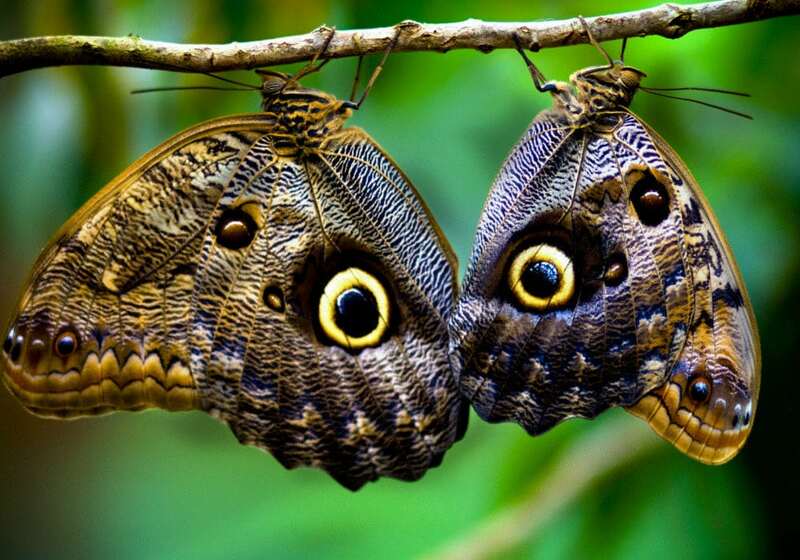 The Owl butterfly is the biggest butterfly of all Costa Rica, reaching sizes of 65–200 mm. They are also one of the hardest one to spot because of their unique wing pattern. 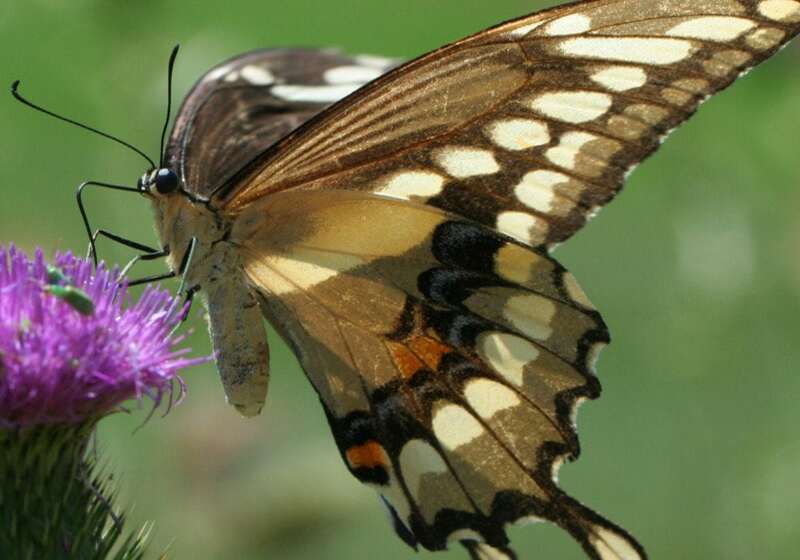 The Giant Swallowtail can grow to sizes of 100-140mm. It has a uniquely shaped wing set with tear drop shapes on its tips. 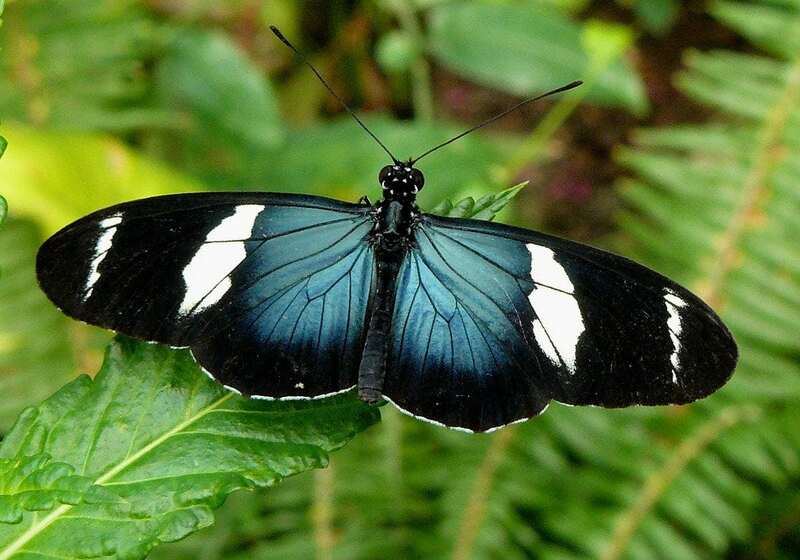 The glass-wing butterfly has a relatively smaller wing span than the rest with only 20-40mm. 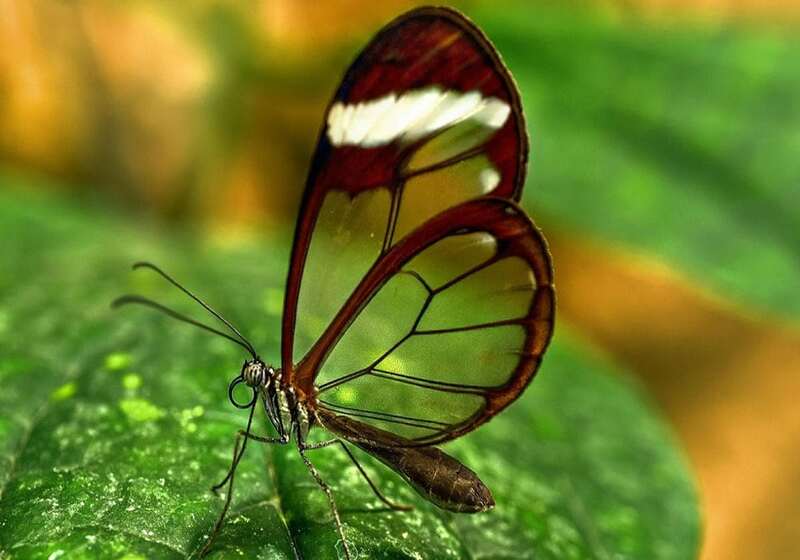 But the transparency of the wings are the feature making this butterfly unique. 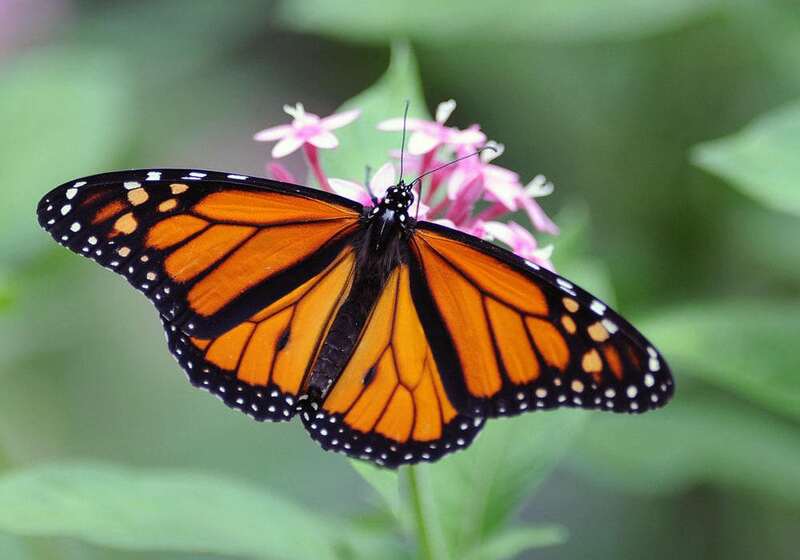 The Monarch butterfly is truly the monarch of North America. You find these butterflies all the way from Canada down into Central America. Their wing spans from 80-120mm. The Pink Spotted Cattle Heart has an interesting design noting its pink spots. They reach sizes of 90-100mm. 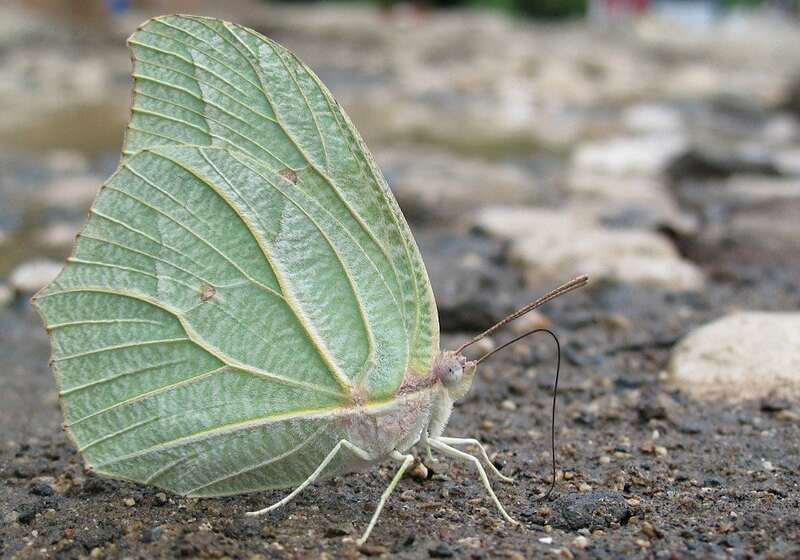 The Sara Longwing has different colors but what is most noticeable about it is the long wings span yet shorter body length, almost resembling that of a moth. The Scarce Bamboo Page, an absolutely stunning addition to Costa Rica butterflies with a brilliant green outlined with dark boarders on its wings. The Tiger Clear Wing is famous for its tiger stripe design on each wing. Wing spans of 65-75mm. The White Angled Sulphur butterfly has a beautiful color pattern perfect for hiding. With the wings that look like leaves, they are one of the most difficult to spot compared to other butterflies in Costa Rica. Wing spans of 70-90mm. Where to find these Costa Rica Butterflies? 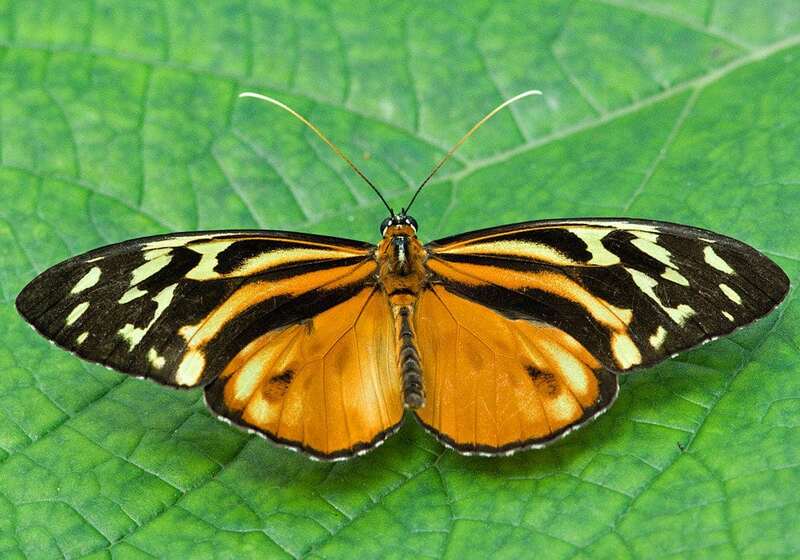 These happen to be only a few of the butterfly species found in Costa Rica. You might ask where you have the biggest chance of spotting the butterflies of Costa Rica. 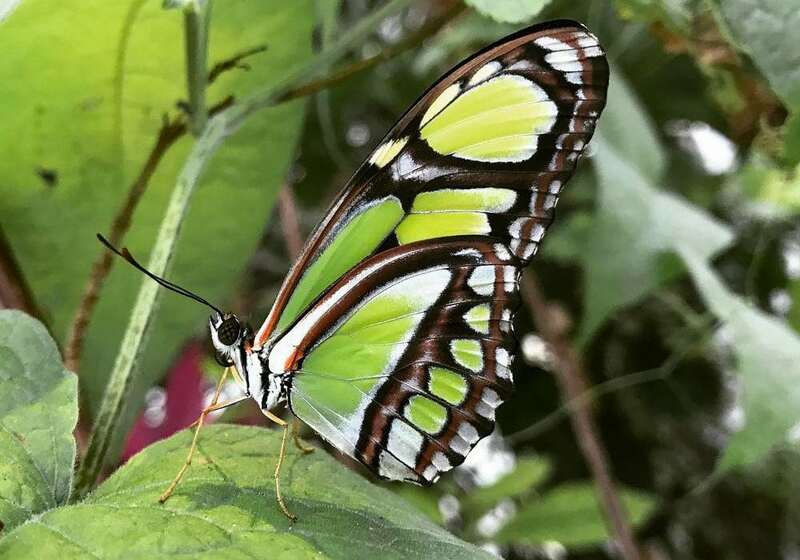 Besides taking a walk through the rainforest and the botanical gardens or a medicinal plant garden you can visit, there are a number of butterfly farms and reserves of some note. 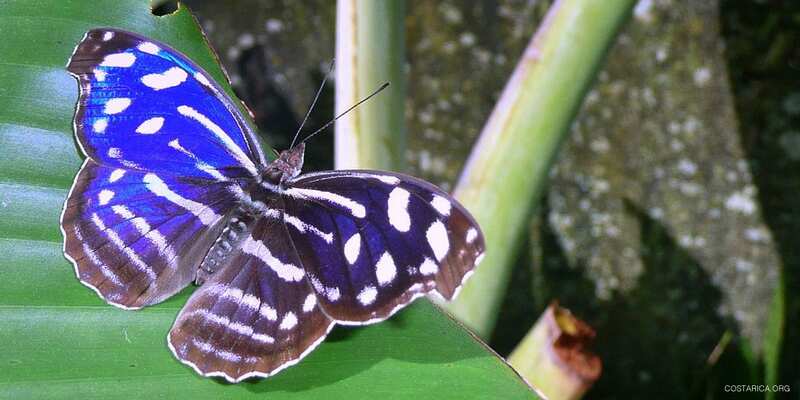 One of the best ones is the La Paz Waterfall Gardens Butterfly Observatory. In this garden you will find over 4000 different specimens of butterflies at one time. Take a gentle walk through the garden and see the butterflies up close. 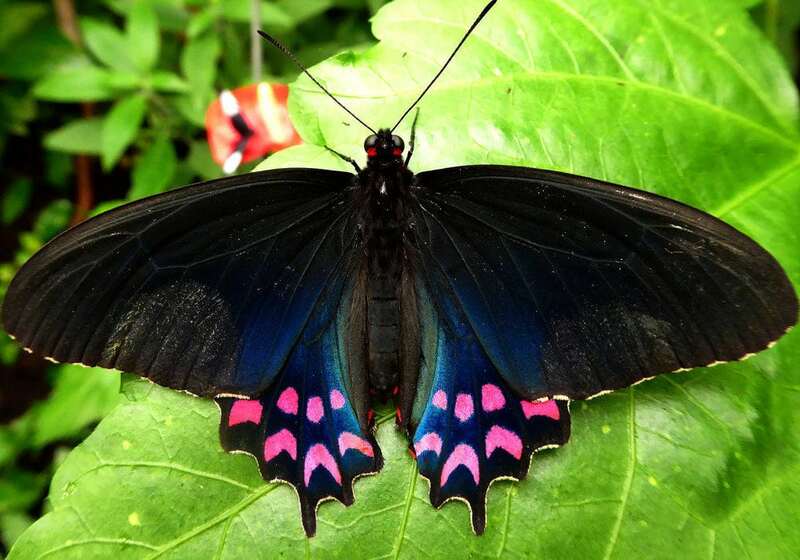 If you want to combine a visit to the Monteverde Cloud Forest with a chance to spot some beautiful butterflies, make sure to stop off at the Monteverde Butterfly Garden. This educational garden features habitats with native butterflies and a center with insects and spiders. What are your favorite animals in Costa Rica?